In this study of Shakespeare's ten early comedies, from The Comedy of Errors to Twelfth Night, the concept of a dynamic of comic form is developed; the Falstaff plays are seen as a watershed, and the emergence of new comic protagonists - the resourceful, anti-romantic romantic heroine and the Fool - as the summit of the achievement. The plays are explored from three complementary perspectives - theoretical, developmental and interpretative which lead to a further understanding of the powerful relation between the plays' formal complexity and their naturalistic verisimilitude. 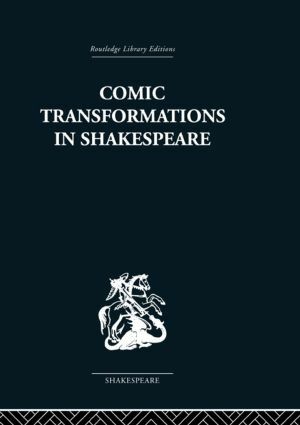 'Professor Nevo does three things at once: she analyses Shakespeare's early comedies, she interprets them in the light of a theory of comedy, and she traces Shakespeare's development as a comic dramatist. She not only achieves these aims with superb confidence, but she successfully integrates her different concerns in a chapter-by-chapter discussion of the plays.' English Studies.